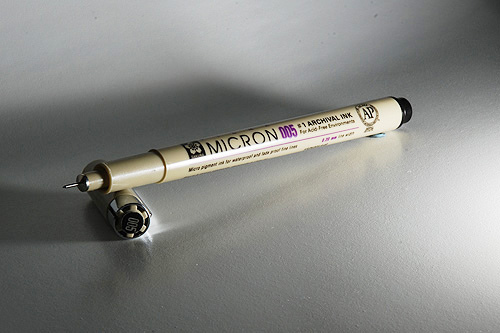 I was happy to find some Micron PIGMA pens for sale recently here in the UK. They are great for a variety of things. I could use them for all the writing I do, though because they are a bit costly (they are manufactured in Japan), I mainly use them to take notes in my Greek NT (and other thin-paged books I have). They come in multiple colors which means you can color-code your notes if you so desire (or if you want to create amazing cartoon illustrations of whatever it is you’re reading). My sketches of scenes from Revelation…yeah right: this actually came from here. 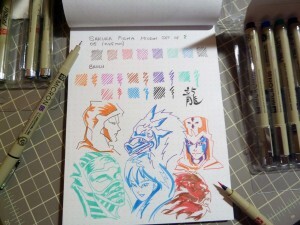 The ink is waterproof and will not fade and this series of pens comes as small as .20mm line width (labeled 005). This means your notes, lines, etc., won’t bleed through those thin pages! I’ve used the bigger pens in the series, but even the next size bigger (labeled 01) tends to come through the page just a bit. I was first introduced to them by Alan Tomlinson, a prof and friend from Midwestern. Where he learned of them, I don’t know. In the States I usually found them at Michael’s (the craft store). Here in the UK I found them discounted at CraftyArts (no material connection). Amazon has them but the cost of shipping usually makes them a bit more than the crafts stores.